With all this talk of the Easter Bunny, Fido’s feeling just a bit neglected these days. 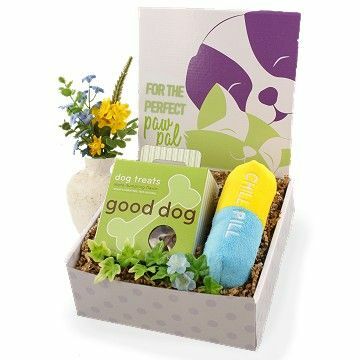 Celebrate Easter with your favorite 4-legged friend and send him his very own dog Easter gift; our Good Dog Easter Care Package. This Easter dog gift comes complete with Good Dog (because we already know he’s been good) biscuits and a plush Chill Pill to keep him … well… chilled out! Doggy kisses and tail wags will soon be on the horizon with this Easter doggy gift!